Tired of electronic reading programs that are enormously expensive? Tired of limiting what a child or teen reads? Tired of awarding reading points only for factual recall? Consider My Reading and Writing Log. If you have Microsoft Accessô available in the classroom, the library, or the school, teachers can have each child create a database not only for what they are reading but also to allow them to write about their reading correlated to the writing program in the school. 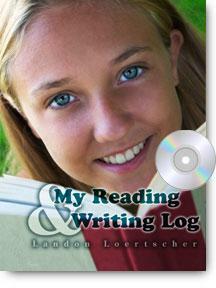 Features include: Each student has a private database to record their reading and writing about what they read. (no tests to take) The student can read anything: Books, periodical articles, graphic novels, newspapers, reference books, Internet sites, etc. Anything recommended by teachers, librarians, parents, friends, or what they discover themselves. Materials at, below, or above their reading level. Parts of things or the whole thing (specific chapters in a nonfiction book, for example). The student writes about what they read: A type of writing being studied with their teacher (a character sketch, a personal response, outline of the topic, description of the plot, important ideas, answers to essential questions, research notes, etc.) Whether or not they liked the book or notes of recommendation to a friend. Notes on the topic of a classroom unit where they are reading a lot about the topic. The student then can email a report of what they read and what they wrote to their teacher or librarian for a particular time period (reading for a topical unit, a week or two, a semester, etc.) The librarian can track selected students in a database. The teacher can track every student in each class up to ten periods a day and 49 students per class. Both the teacher and the librarian can add comments about the reading and writing to the database.